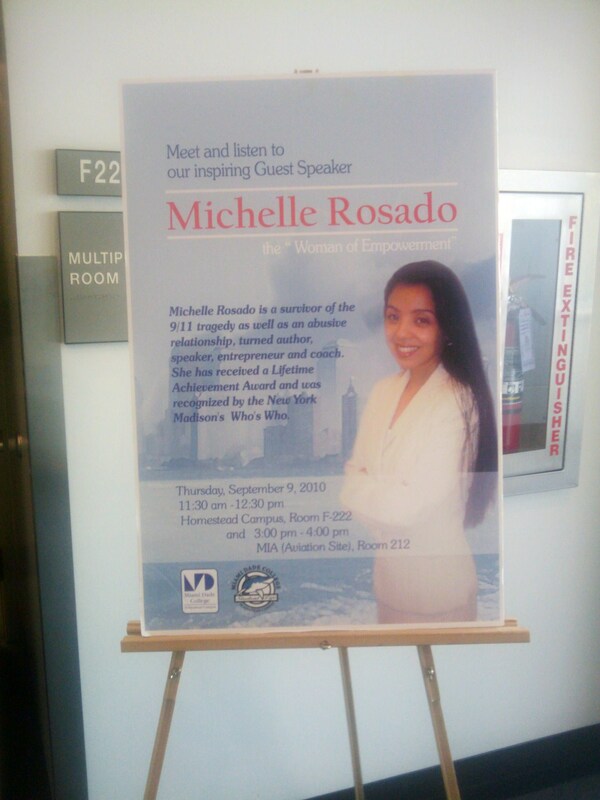 Michelle Rosado was a guest speaker at Miami Dade College’s Homestead and Miami campuses. At the end of Michelle’s speech she was presented with a “Certificate of Appreciation” for her participation at the event. “A special thank you to both Nicole Bryant and Jose Chen for putting together such fabulous events and for their wonderful hospitality. 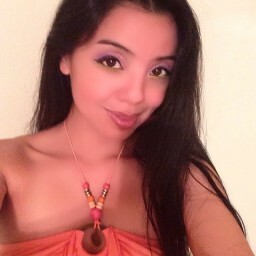 I’d be honored to speak there again!” Michelle exclaimed. 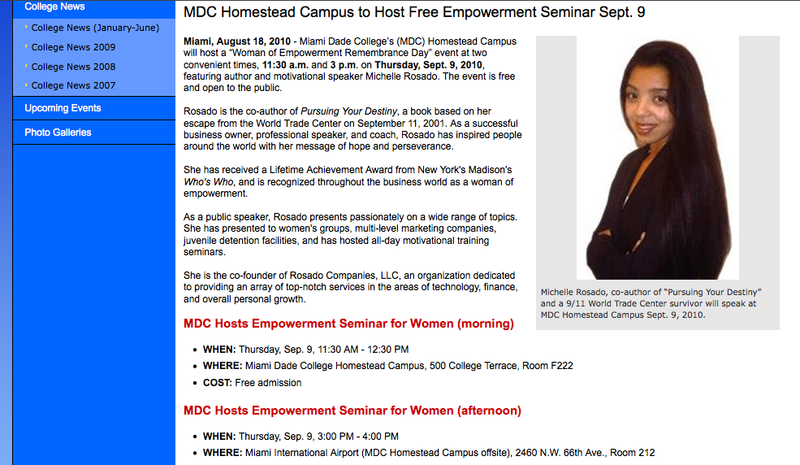 Miami Dade College’s October 2010 newsletter can be found here. process? It may be just be the case that you need some solid advice beforehand. The information included here can simplify the entire process of purchasing a car.